We went down to Eastbourne today, and subsequently up to Beachy Head. 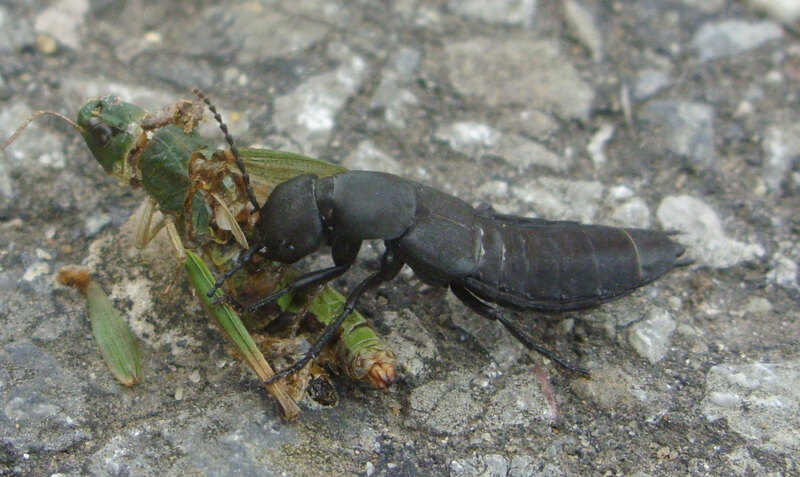 On the path by the road I found something I have never seen before – a devil’s coach horse beetle feasting on a dead insect. I think this grasshopper had probably been trodden on by some pedestrian, but the coach horse was digging in heartily.